Are you looking to buy a camera to complement your smartphone but dont know what to get? Then read on! If size & weight are important and you have no plans to buy a 2nd lens then a point & shoot with a large image sensor like those found in a Four Thirds, APS-C, Full frame camera may be of interest to you. Large image sensor allows for better image quality than any and all smartphones. Their built-in lens tends to have faster f-number than the kit lens of mirrorless or dSLRs. They also have WiFi, Bluetooth and NFC to complement and connect to your smartphone. Listed below are some of these cameras that are smaller & weigh less than their mirrorless counterpart. These are accurate as of the date of this posting. Another option that offers higher utility may be buying a flagship phone like a Google Pixel 2 or iPhone 8. You may leave your new camera at home but never your phone. The best camera you can ever own is the one with you always. I completely forgot that Nikon had mirrorless offerings. Are there any phones that use 16mm or Minox loads ? Not interested in 110 film ... too bulky. 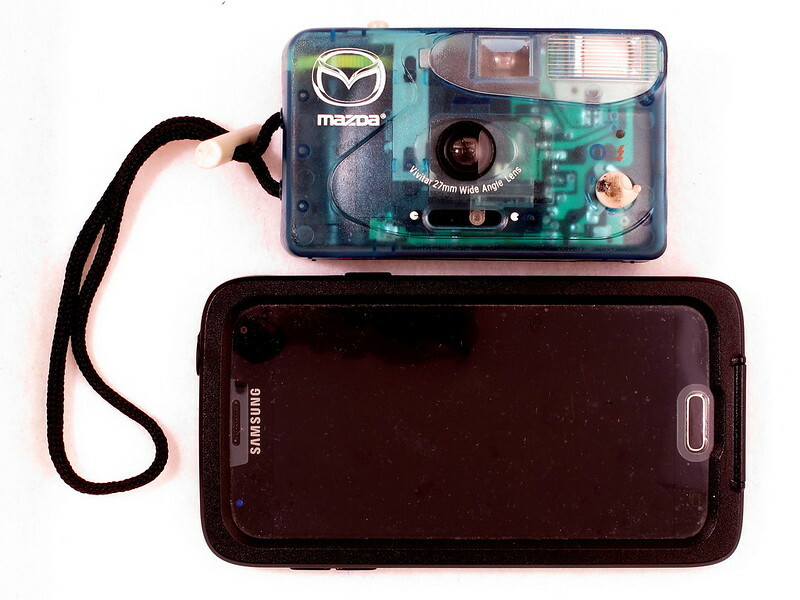 My Mazda/Vivitar 35mm point and shoot with 27mm wide-angle lens is a good complement to my Samsung cell phone. They are about the same weight and volume. Both have built-in flash. Both produce acceptable images. The Samsung does movies and phone calls, the Mazda/Vivitar does not. I prefer the ergonomics of the Mazda/Vivitar. When shooting in a location where there is a great chance that one of the two will be lost, stolen, or damaged, I would gladly sacrifice Mazda/Vivitar.